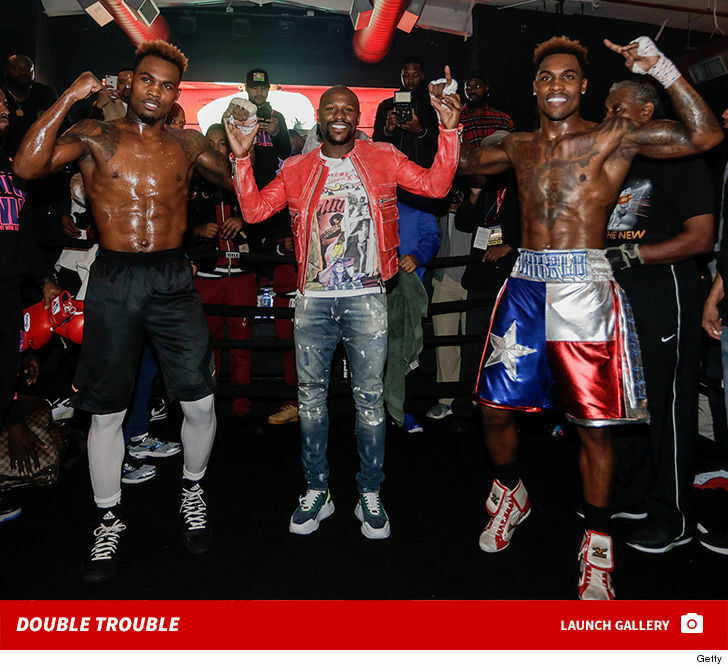 Jermall and Jermell Charlo are already seein' Money before their huge title fights next weekend ... 'cause Floyd Mayweather was a special guest at their open workouts in Houston!! 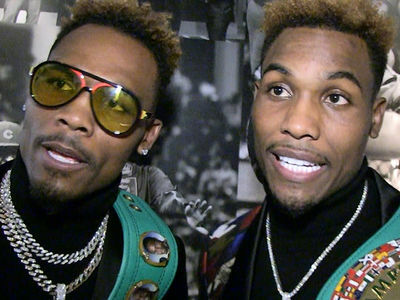 The undefeated Charlo twins hosted the training sesh/toy drive in their hometown leading up to their big event in Brooklyn ... and anyone who brought a gift got to check out their workout for free. But, the guests weren't the only people in the giving spirit ... celeb jeweler Johnny Dang dropped by to hand-deliver a custom diamond grill for Jermall!! Both Charlos are fighting at Barclays Center next Saturday -- both attempting to keep their undefeated streaks alive. Jermall is 27-0 and Jermell is 31-0. And, since they're both fighting on the same card -- how did they determine which fight would be the main event? Coin flip. Jermall won -- so his fight will get top billing when he defends his interim middleweight title against Willie Monroe Jr.
Jermell is defending his junior middleweight title against Tony Harrison. 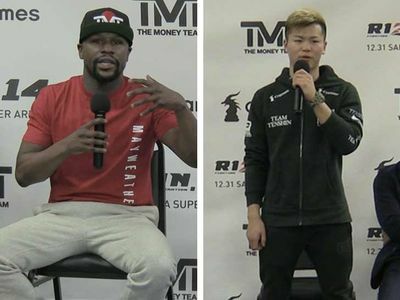 Floyd's got his own fight comin' up ... with his New Year's Eve exhibition in Tokyo with Tenshin Nasukawa right around the corner. Props to the guys for spreading the holiday cheer ... and some good ol' fashioned violence! !